Given how outrageously popular STEM careers are in the modern economy, scientists have it made. They’re the life of the party, the best paid, and they get to snark on us lesser mortals who didn’t choose the one true career path. Scientists also tend to have a better-developed sense of humor. Don’t ask us how we know this, we can’t cite a study – but just look at them. They have legions of cartoon artists on their side: Gary Larson’s The Far Side, Randall Munroe’s XKCD, Scott Adams’ Dilbert, Zach Weiner’s Saturday Morning Breakfast Cereal, and Matthew Inman’s The Outmeal. Apparently a compartmentalized, classified world-view just automatically gives you an appreciation for the absurd. When it comes to geeky toys, there’s a special kind of wonder imparted when they’re done right. Taking something drawn from universal fundamental truths as we understand them and then making a plaything of it just invokes this urge in the mind to fully possess it, in a way no other kind of medium can. Really, science-based toys go a long way back; the oldest toys we can recover from ancient history are typically based on simple expressions of the laws of mechanics and engineering. Tops, yo-yos, and Newton’s Cradle all share this common denominator. Science itself even comes under attack, we must not forget. Whether conflicting with religious fundamentalists or clashing with the agenda of those who hold the wealth and power, science has had to defend itself whenever the pursuit of knowledge is at odds with the status quo. So tossing a bit of science into our daily mundane lives helps raise awareness that, in the words of Neil deGrasse Tyson, it works whether you believe in it or not. There’s a lot of things we could find with the periodic table of the elements on them: posters, T-shirts, tote bags, all kinds of stuff. But this is the most elegant expression: carved into bamboo to make a solid board with a punny message, of course. You can see the connection between the elements and cooking when you see that the elements are simply the recipe to make a universe. Anyway, you have this to remember the elements so you don’t have to repeat the Tom Lehrer song. 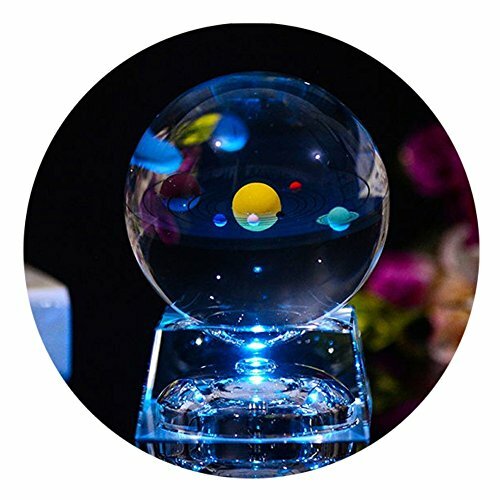 Crystal balls are associated with magic and wizardry, so what better way to express the wonder of the solar system model than by encasing it in a crystal ball? This has the sun and all eight planets – no Pluto, despite the fact that Pluto continues to angrily protest on Tumblr that it identifies as a planet. Here we go again with scientists in the kitchen. 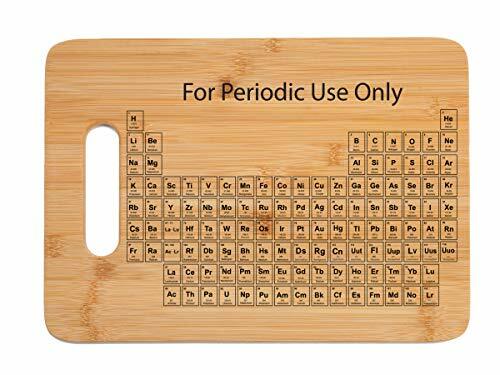 If you got the periodic table cutting board above, you’ll just have to go with the chemistry-themed spice rack too. 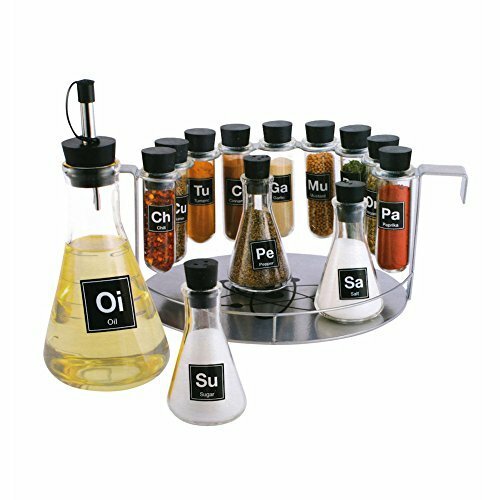 Note that the set just uses a chemistry decorative theme; the labels aren’t accurate to the contents. Yes, how much trouble is it to say “NaCl” for the salt shaker, but by the time you’re trying to break down the complex chain molecules in mustard, you’re running out of space on the label. 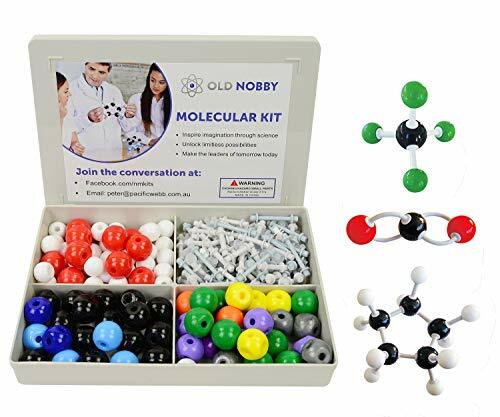 This kit is intended as a teaching aid for students, but don’t think for a minute that grown-ups won’t enjoy playing with it anyway. It’s great for explaining chemical interactions and aspects, so it will be handy to have on the desk for those facing with the non-scientific public. But beyond that, it’s just a nice fidget toy during break-time, and you can always leave a constructed caffeine molecule on your workstation to indicate you’re out for a coffee break. Funny science water bottles make great Engineer gifts for men or women. 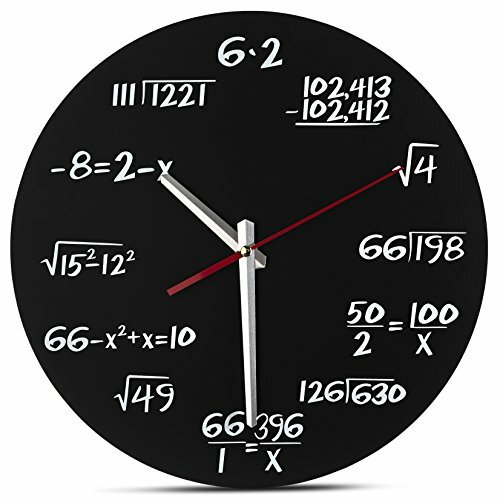 Science themed gifts make great birthday gifts for teachers, science graduation gifts, or science teacher appreciation gifts. Have you heard of the dangers of dihydrogen monoxide? Did you know just a little bit of this dangerous chemical in your lungs can kill you? 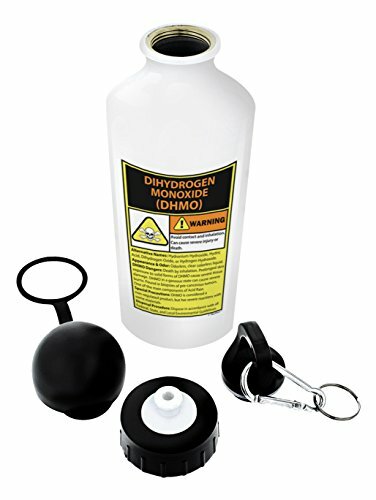 Well, don’t panic too badly; it’s water, and the chemical naming was the basis of a very famous science prank where students got a bunch of random people to sign a petition to ban dihydrogen monoxide based on a list of easily-hyped dangers. This clever sports bottle pays tribute to that bit of science-geek lore, with a dark observation of just how out-of-touch our public school education system is.